In a very uncharacteristic rush of blood to the head, out of the blue I suddenly decided I wanted to make a vanilla slice. I was mainly inspired to get my slice on by being given the more precious than gold gift by my bestie of some Tahitian pure vanilla essence, direct import style. I'm no baker. In fact, if you've ever watched that food TV show Baker or Faker, i'm for defs a faker, and probably closer to the contestants of Nailed It ha ha ha. 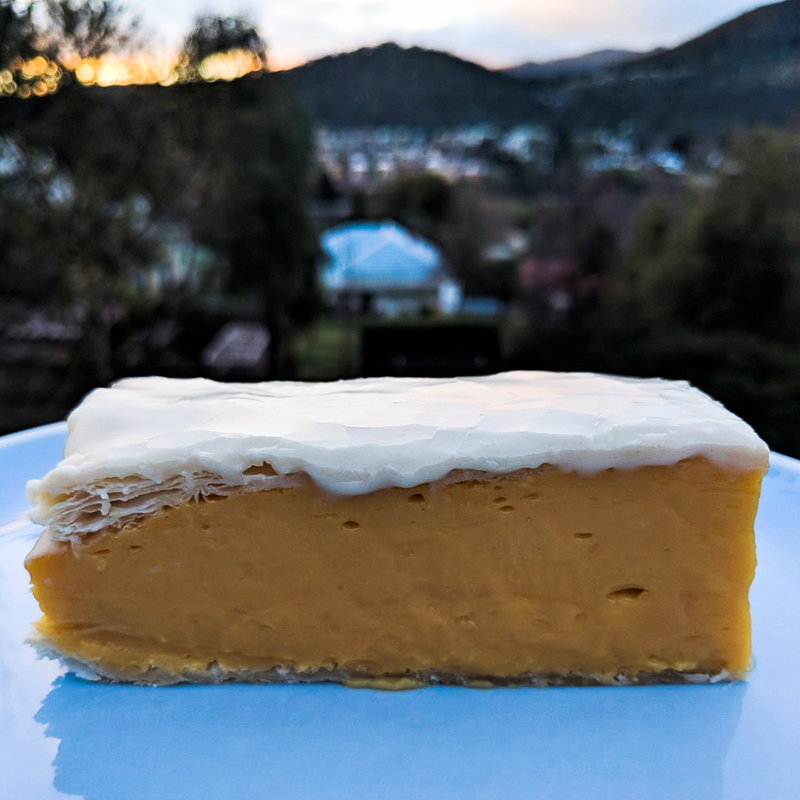 Anyhoo, I had some faith in pulling it off, as I knew I could make a vegan custard, I had puff pastry sheets in the freezer, and I can make vanilla icing. All that had to happen was that each of these could be brought together in an elegant stacked trio and then not be massacred in the cutting up part and I would have me a vanilla slice. Simples! I'm happy to say, that it was indeed a success, and while on the rustic side, it was going to get more rustic when I digested it! I take no credit for this recipe which was made by Nikki from the gorgeous vegan B&B Bed and Broccoli and who is clearly a vegan baking genius, the recipe is from her website and reproduced faithfully. I'd stay there 100% as there are also rescue animals and, well, vegan treats on every surface. I've made micro tweaks to my attempt by changing up the icing to straight vanilla ice ice and I strongly urge you to get your slice slice baby on and please everyone in your near vicinity.